Besides 4 of my friends, are there any Parenthood fans out there? Not to be confused with the popular WB sitcom of the 90’s, The Parent ‘Hood, I’m referring to NBC’s dramedy about the trials, tribulations, and triumphs of the all-American Braverman family. I could go on and on about why I love Parenthood, but I’ll spare you all. You’ll just have to see for yourself! Just make sure you have a box of tissues nearby! 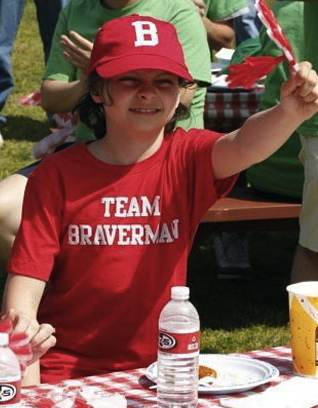 One of my favorite Parenthood characters is Max Braverman. Though Max can sometimes be impatient and quirky, he’s also smart and kind. He’s got an uncanny attention to detail. If you ask Max, “Which insect has the most number of legs and lives in the northern hemisphere?” he can tell you the insect’s name, it’s Latin name, complete with genus and species. Part of the reason why Max has an amazingly good memory is his Asperger’s. Asperger’s Syndrome is a type of Autism Spectrum Disorder (ASD). ASDs are a group of developmental disabilities that can cause significant social, communication and behavioral challenges. It’s classified as a spectrum disorder, because ASDs affect each person in different ways and can range from mild to severe. So what can be done? There are many types of treatment available for ASDs. They fall into 4 main categories: behavior and communication, dietary, medication, and complementary and alternative medicine. As seen on Parenthood, Max had a behavioral therapist named Gabby (played by Minka Kelly). Gabby worked with Max after school, helping him with some of the challenges he faced due to his Asperger’s. She helped Max learn to make eye contact when speaking to others and how to better handle change and be more flexible without having a tantrum or meltdown. For example, Gabby helped Max work through his routine of only wearing his pirate outfit or always having to use the orange frying pan. She also helped Max develop his playskills by bringing him to the park to play with other kids. Similar to Gabby, my friend, Caroline, is a Behavioral Therapist. Lucky for me (and you), I got to interview Caroline about the incredible work she does! Alyssa: Can you tell me about your experience? Caroline: I am a Behavioral Therapist for the Center for Autism and Related Disorders (CARD) and provide Applied Behavioral Analysis (ABA) therapy to 9 amazing kiddos. [ABA encourages positive behaviors and discourages negative behaviors in order to improve a variety of skills.] They have become a huge part of my life in such a short period of time. I am so proud of their resilience and incredible progress. Despite their challenges, they motivate me to be the best I can be in ways no other people I have worked with have and am privileged to be able to celebrate their accomplishments each and every day! Alyssa: What have you learned so far? Caroline: I have learned so much in such a short amount of time. Working with the kids has been an amazing experience, there is still so much to learn. I have learned to do a lot of multitasking from this job, calculating data collection, keeping track of behaviors, while playing and making animals out of playdoh all at the same time! I have learned that each child has the potential to be the best and it is my job each and every session with them to help them reach that potential. Alyssa: How has the job been challenging? Caroline: The job has been challenging because it definitely requires a lot of patience. Every job has its hardships and trials and the kids will definitely test your patience. They may not like something being asked of them and their response may be to throw toys, pull hair, or have a tantrum, because that is the only way they know how to react. They just need to be given the tools of effective communication (ex. I need more time, no thank you, Can you help me?) to use their words or in a way that works for each specific child. 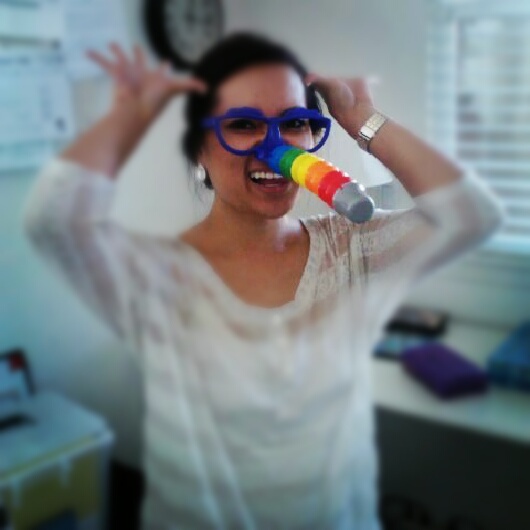 Alyssa: What’s the most rewarding part about being a behavioral therapist? Caroline: The most rewarding part about being a behavioral therapist is seeing the little “wins” each kid experiences everyday. Each session with the kids is a baby step towards progress. For example, my kiddo and I were working on the steps in takes to put on and zip up a jacket. I saw him through his frustration trying his hardest to complete this task each time, but when he finally was able to get it done and perfect it independently, it was a huge celebration in his honor! For more information, visit Autism Speaks.